On March 8, 2018, the world was rocked by a major announcement from the White House concerning North Korea. President Trump’s nuclear strategy, which has been ridiculed for months by the media for being too aggressive and idiotic, is now starting to pay dividends. 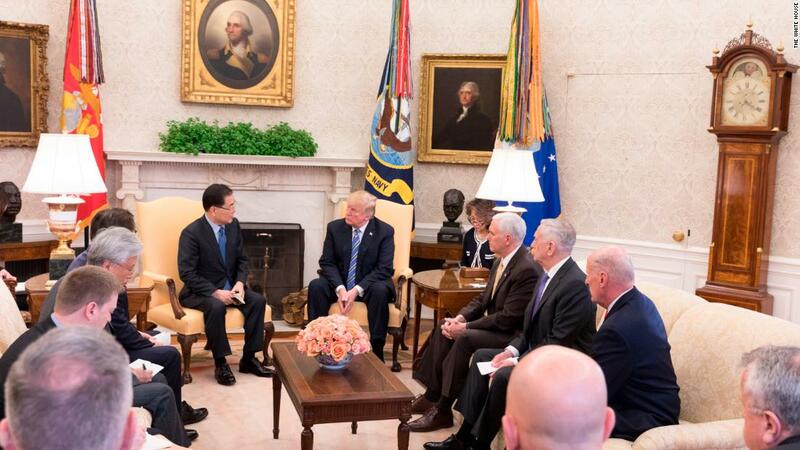 A South Korean delegation, headed by South Korea’s National Security Advisor Chung Eui-yong, met with President Trump and his top military advisors, and briefed them for hours on what their meeting was like with Kim Jong Un in North Korea. This meeting, according to the White House, also presented President Trump with a personal invitation to meet with Kim Jong Un to talk about suspending North Korea’s nuclear ambitions and eventually removing North Korea’s nuclear weaponry. President Trump accepted the invitation and even promised to have the meeting no later than May. 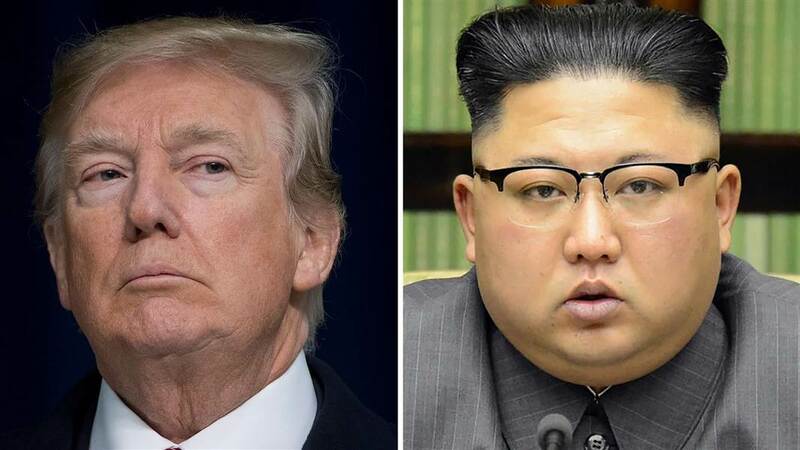 No sitting American president has ever met with a North Korean supreme leader, so in doing this, the president has now kickstarted a summit that will be absolutely historic, comparable with the Reagan-Gorbachev summit of 1986 or Nixon visiting communist China in 1972. This as all happened due to the president’s hardline rhetoric and pressing of sanctions on North Korea. This is according to the South Korean delegation, who praised Trump numerous times for being able to get North Korea to the bargaining table. However, the president must also do his due diligence with this meeting. This meeting might quite possibly solve the most dangerous issue in the world or it can also be a ploy by Kim to buy more time for him to get a nuclear warhead on an ICBM that can hit the United States. North Korea has been known to break promises and deals, with an example being the deal made during the Clinton Administration with North Korea in 1994 barring North Korea from continuing its nuclear program, in return of the lifting of sanctions and the delivery of food aid to North Korea’s impoverished citizens. North Korea broke that deal in 2004 and has been continuing its track of a nuclear ICBM since then. President Trump must make it clear to Kim that if he dares to break any agreement made during that summit that he will face the full power of the United States in the form of not only crushing sanctions but also military action. This was a risky move on the president’s part to accept Kim’s invitation, but a risk that is worth it politically and more importantly in real world terms. Even if President Trump comes out of that meeting with nothing, he can still say that he has done something to deal with the nuclear problem, unlike a few of his predecessors. However, if the president succeeds and manages to freeze the North Korean nuclear program, it will be the greatest foreign accomplishment by an American president since President Ronald Reagan guided America through the Cold War. He will be hailed as the ultimate peacemaker and dealmaker and surely guarantee not only his reelection in 2020 and a Nobel Peace Prize, but huge Republican gains in the 2018 midterms. More importantly, he will save the lives of millions of people who would be killed and tens of millions who would be affected from a war between North Korea and the United States. Trump might actually be to North Korea what Nixon was to China. Hopefully, he doesn’t mess this opportunity up. We need more diplomacy and he needs to become more informed as to handle negotiations. Running a country is nothing like running a business. North Korea has a lot to gain from this and we have a lot to lose. Hopefully, negotiations are successful but I honestly do not know if they will be especially with McMaster and Tillerson gone. Totally agree. It seems as the months wear on, President Trump is starting to realize the power of the presidency, in which you can see it on the way he handles and understands domestic and foreign policy. Transitioning from businessman to politician is not an easy one, especially for Trump, but I believe that now he understands the process way more than he did 14 months ago when he took office. In regards to the departure of Tillerson and McMaster, I believe that Tillerson didn’t make a great Secretary of State, with his replacement, CIA Director Mike Pompeo having more experience and competence in the arena of foreign policy that Tillerson simply didn’t have. However, the departure of McMaster does trouble me, as I believe that he was an intelligent, moderate voice in the foreign policy wing of the White House, and his replacement, John Bolton, being a more partisan and divisive figure, with him also being a hawk on foreign policy. Hopefully, the addition of Pompeo to President Trump’s foreign policy team is enough to offset the departure of McMaster and allow Trump to fully prepare himself with his historic meeting with Kim Jong Un. You are a star. Your informed opinion and sage analysis are what this country needs in these times of discord. We’ll be sure to keep this essay in mind. Any thoughts on the Middle East? Thank you so much for the compliment. In all honesty, giving thoughts on a subject as invasive and complicated as the Middle East wouldn’t be possible in just a comment, it will require a story to express those thought. Hopefully, when the story is written, you will like it as much as this one. Thanks again for the comment.